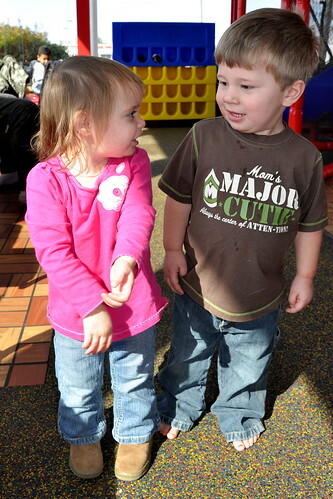 Nick has a girlfriend from preschool, Hannah. 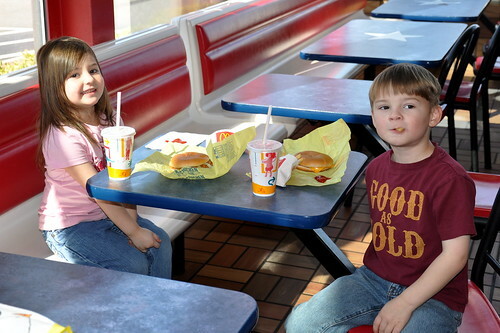 :) He wanted to take her on a date so we went to McDonald's for lunch after school. 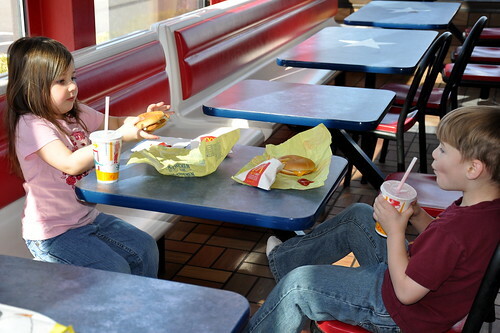 They sat at their own table and enjoyed their Happy Meals. I love how Hannah smiles nicely and Nick shows me the food he's eating! 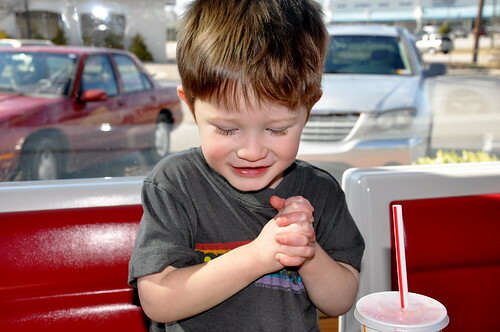 Ben was SOOOO excited to be at McDonald's (can you tell we don't go often?)! Cute pictures- and might there be a budding romance with Lexie and James? ADORABLE! He's going to be quite the gentleman if he wanted to take her on a date at (almost) 5!